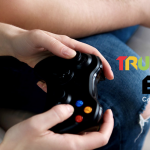 YCC’s Residential Program provides short-term shelter and counseling to troubled youth ages 10-17 who are referred by law enforcement, schools or other agencies or because they have run away or been locked out of their home. Family Link provides free, confidential outpatient counseling for families experiencing any youth-related issue that disrupts the health and stability of the home. Assistance is available via telephone, scheduled appointments and walk-in visits. Touchstone Village provides Transitional Living services to young adults ages 18-21 who are in extended foster care or may be homeless. Many of the residents have been in the foster care system and/or delinquency system and are without the resources needed to live independently in the community. Project SAFE PLACE is a national program designed to provide a safety net for runaways and at-risk kids on the streets. There are several hundred Safe Place locations in Northeast Florida where kids can find help 24/7 at no cost. 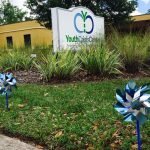 YCC’s Outpatient Behavioral Health program provides comprehensive mental health, psychiatric, and psychological services to youth as young as 3 years of age and their families. This program accepts Medicaid, third party insurances, and offers a sliding scale as needed.